The nerfs hit them just about as hard as we all thought. League of Legends Patch 9.3 arrived on live servers today. One of the most important changes it brings are huge, glaring, massive nerfs to some of the game’s most divisive champions—Aatrox and Akali. With the patch’s arrival, we were able to track live stats of both of these former monsters on League stats site LoLalytics, which happens to be one of the only sites that show stats from a new patch the same day it goes live. After comparing the stats of Aatrox and Akali in their most popular roles, top and mid respectively, we can say that at least for now, those nerfs hit them hard. Both of the biggest changes from today’s patch, Akali and Aatrox. Tracking their stats so far has been depressing, both champs took a massive hit to performance (as expected). In case you missed our patch coverage yesterday, here’s a quick breakdown of the nerfs that arrived for both champs. Akali’s shroud no longer gives her True Invisibility (invisibility from turrets), and her most spammed ability (her Q) no longer heals her at all. Aatrox is sort of in the same boat, with his Umbral Dash no longer healing him based on damage, nor can it contain extra charges. It’s now just on a regular cooldown, but fortunately that cooldown can be reduces by building CDR. These nerfs aren’t your average, run-of-the-mill nerfs. They’re big ones that remove entire features from both Akali and Aatrox’s kits, so the fact that both are now looking at substantial performance drop-offs is fairly expected. Akali’s winrate in the mid lane, which is her most popular role, now sits at 40 percent on LoLalytics, which is down nearly seven percent from her winrate in 9.2. 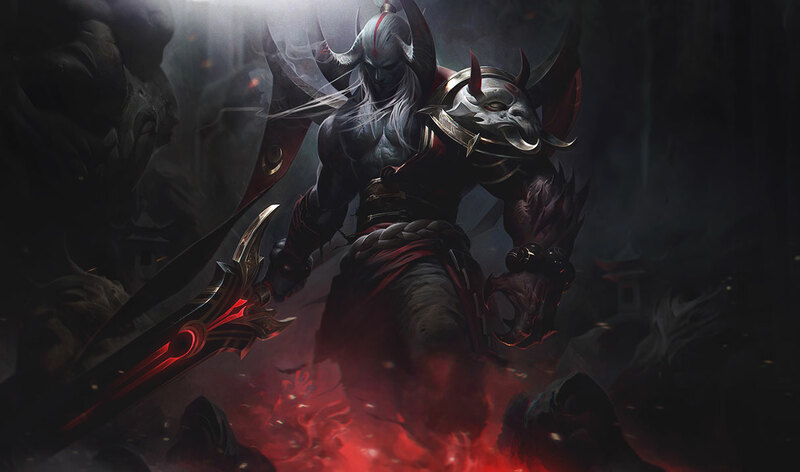 Aatrox, just like her, dropped to 40 percent in his most popular role, which is the top lane. Prior to 9.3, he was at 49 percent, according to OP.gg (which still shows stats from the previous patch). That means he almost dropped by 10 percent literally overnight. Ouch. The numbers don’t lie. Akali and Aatrox were absolutely ravaged by their nerfs in Patch 9.3. Fortunately, we don’t expect them to both sit at 40 percent for too long, as players figure out how to play them with their newly-hamstrung kits, the number should climb at least a little. But seven- and 10-percent lower winrates in the matter of a day is still a bit too dramatic, even for champions as irritating to play against as these. It’s safe to say that we don’t expect either of them to control the meta anymore, both in pro play and in casual solo queue.